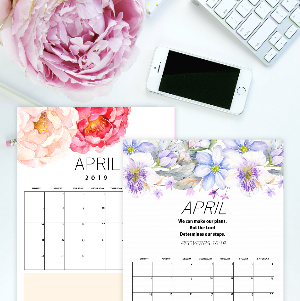 (FLASH SALE, 75% OFF- LIMITED TIME!} 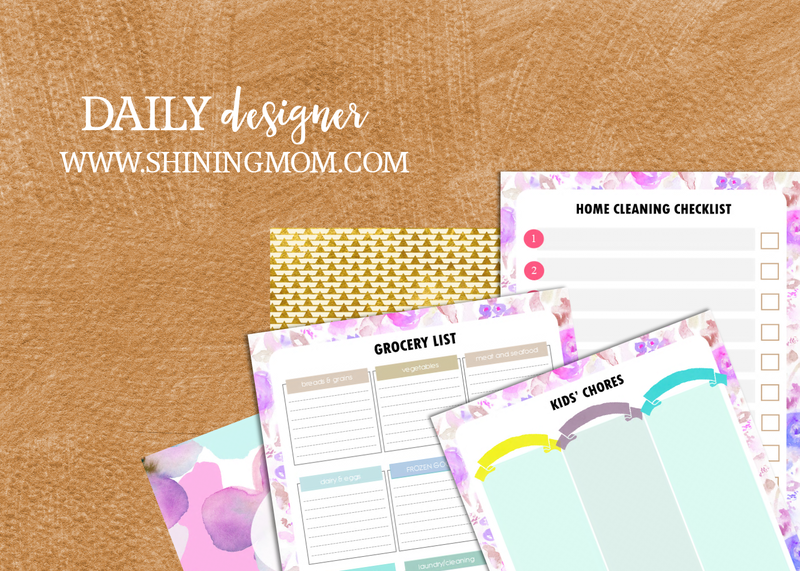 DAILY DESIGNER: Your pretty printable toolkit to get ORGANIZED every day! 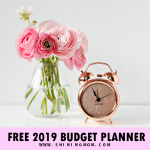 If you’d ask me the same when I have a great deal to do but without a clear direction on where to begin, I often feel tired and exhausted without even starting! 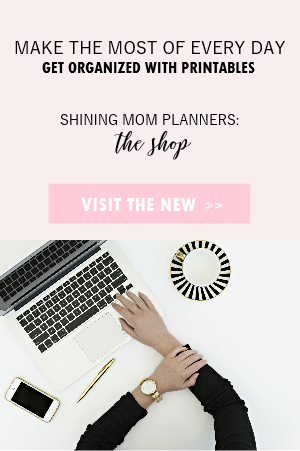 So when I am busy, I usually find myself grabbing an organizer to map out my plan. When my mind is set as to the things I need to do first, next and last, I feel like I am ready to roll my sleeves and start working! I am more efficient that way! I am more efficient with a clear plan! I am sure you, too! 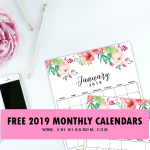 In this crazy busy world, isn’t it that we, ladies, just all yearn for organization? 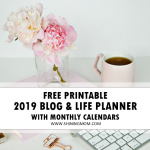 And this is where this pretty and basic planner comes in. 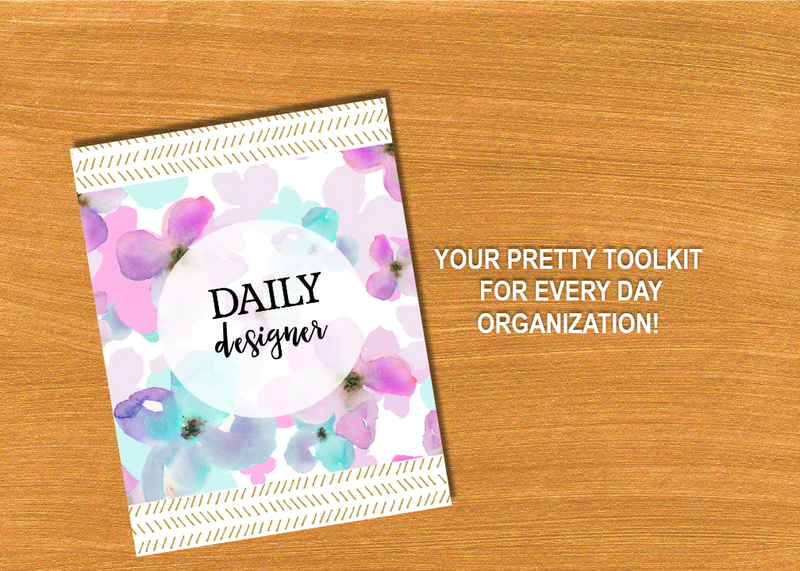 Introducing… DAILY Designer: Your pretty toolkit to an everyday organization! 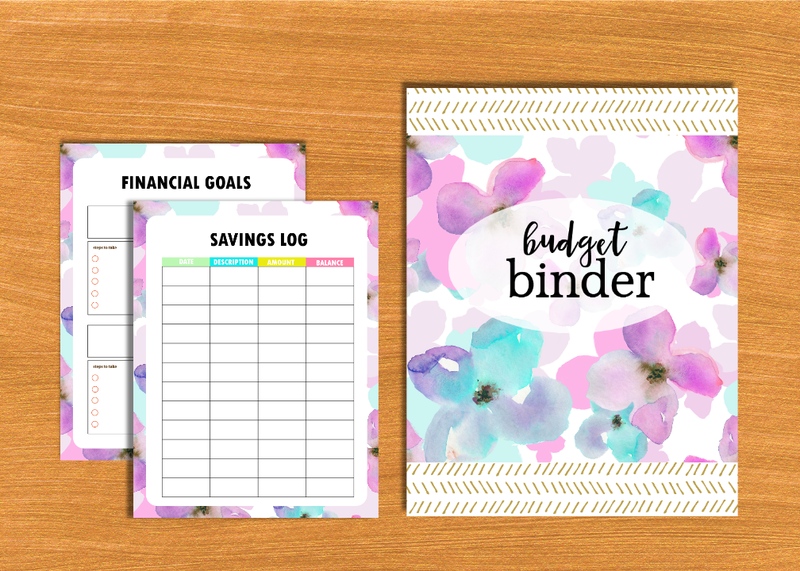 It’s a pretty and practical binder that you can immediately use to put your home, your finances and your life in order! 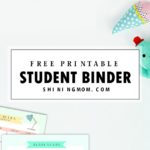 And, as a sweet treat for this brand new year, I am offering this binder at 75% OFF! This is for a limited time only so you shouldn’t miss the deal! 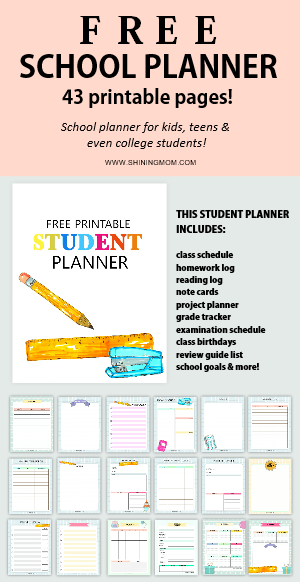 OVER 50 PAGES OF ORGANIZING TOOLKIT! 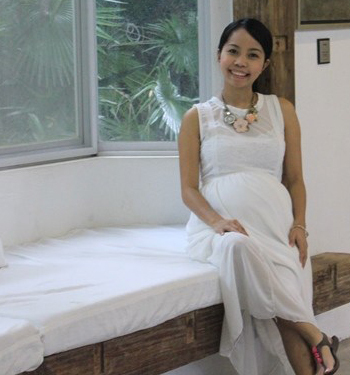 DAILY Designer is created for every busy woman like you to simplify things around. 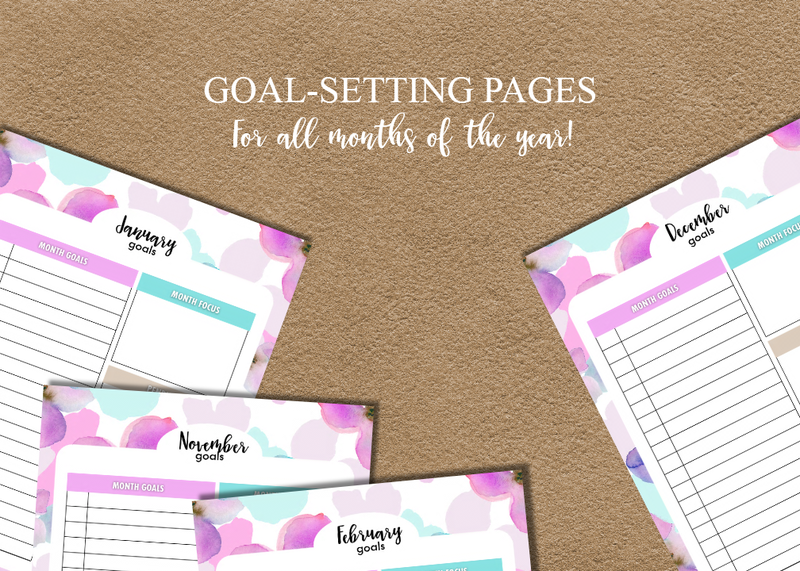 With the basic planning pages I created and the very pretty hand-painted design elements by Angie that I incorporated, you’ll be inspired to blissfully carry on your tasks with grace. Here you’ll get three lovely binders in one. 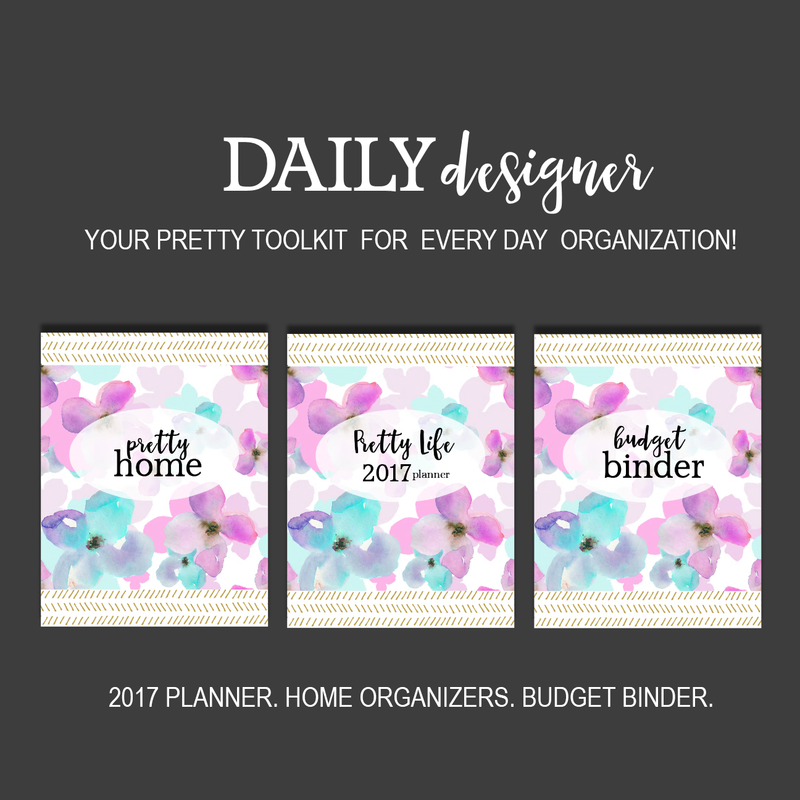 DAILY Designer has over 50 pages to help you get organized every day! 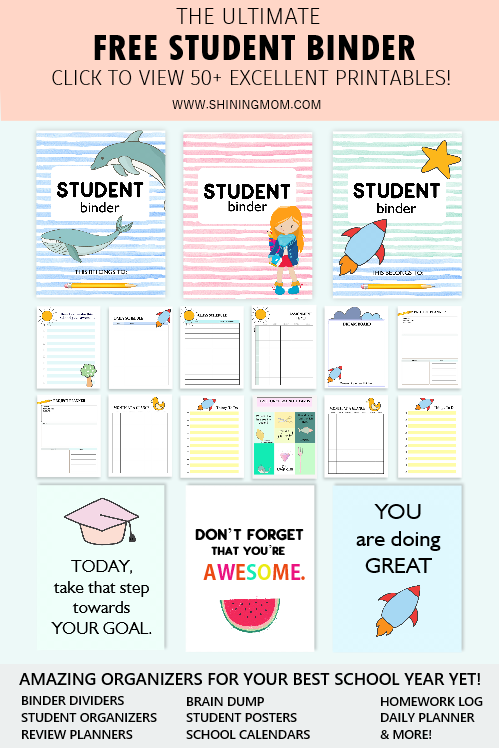 Let’s have a quick binder tour and have a peek at some of the lovely pages included in the binder! 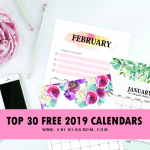 Feeling busy but not necessarily productive? Then maybe it’s about time to check how you run your day. 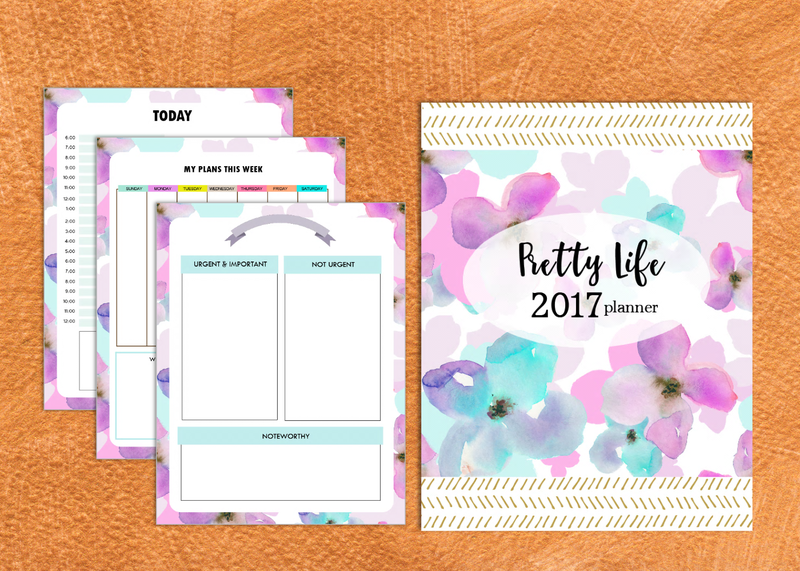 The daily, weekly and monthly basic planners included in this binder will help you redesign your days! 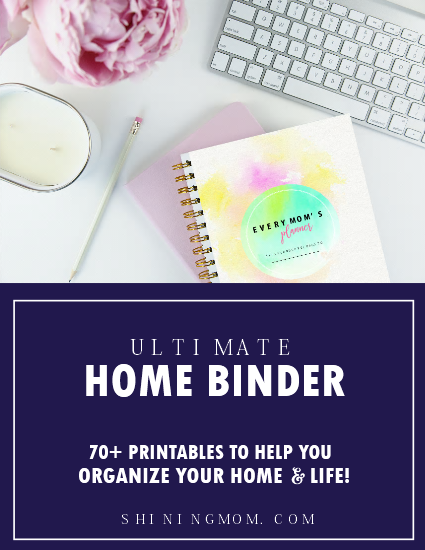 Dreaming of an organized home? 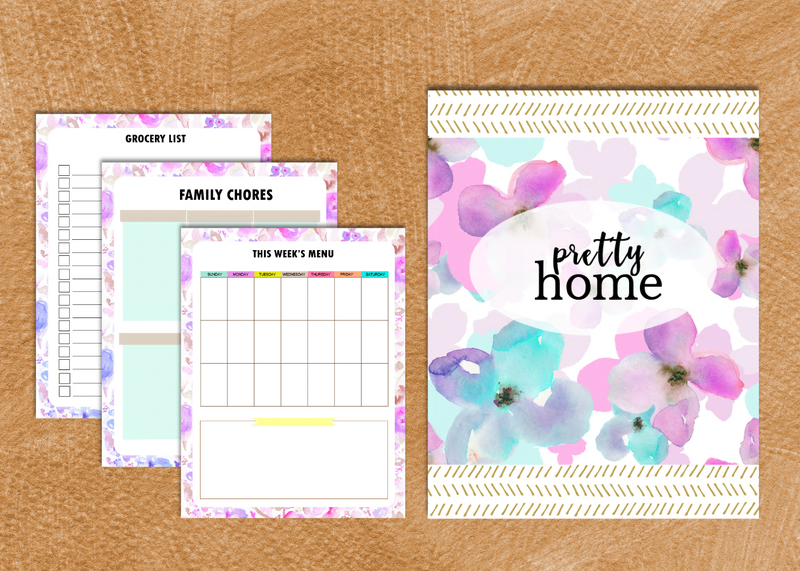 Print out the pages included such as the cleaning checklist, family chore chart and meal planning sheets. Here you’ll get pretty pages of inspirations for your home and kitchen bliss! Now thinking of finally saving and investing more? Then it’s about time to put your finances in order! 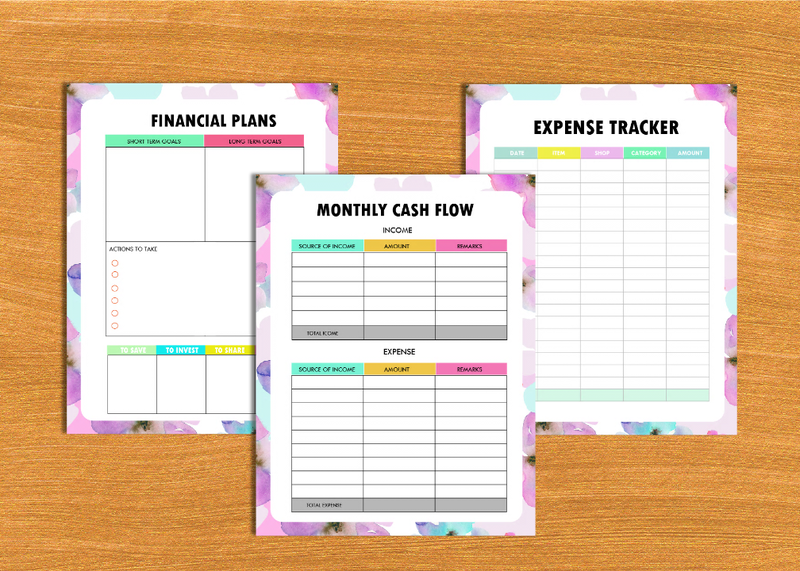 You’ll have worksheets to set your financial plans as well as pages for you to track your expenses here. Yup, you’re on your way to financial wellness! 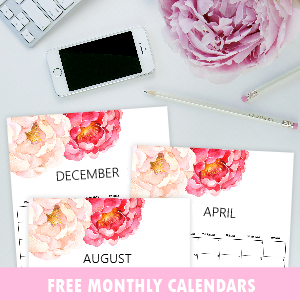 Your sweet purchase will come in instant download of 5 PDF files grouped in categories for easy printing. 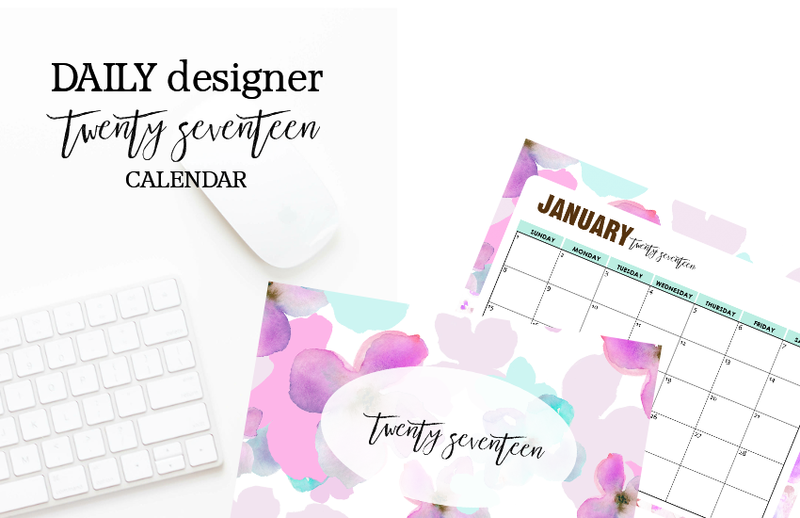 Your DAILY Designer has 65 pages all in all to help you design your day!